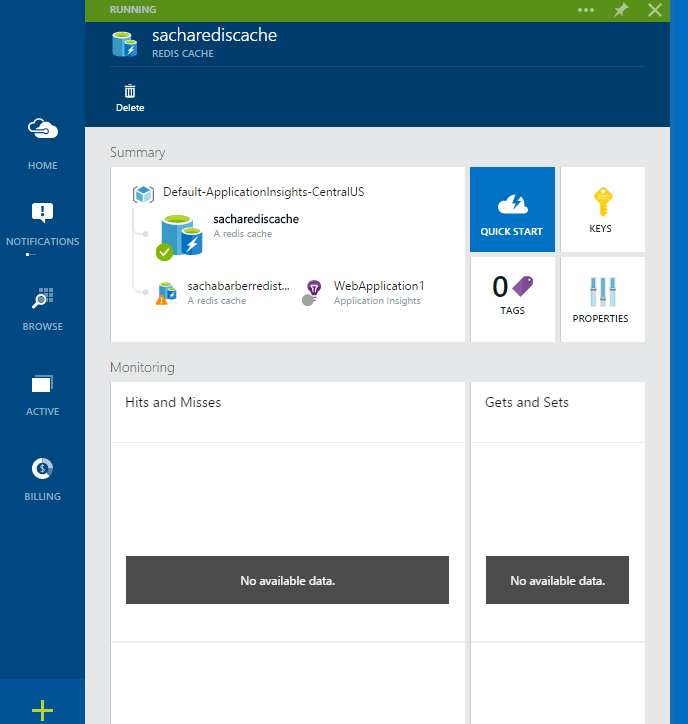 This is a new post in a series of beginners articles on how to do things in Azure. This series will be for absolute beginners, and if you are not one of those this will not be for you. 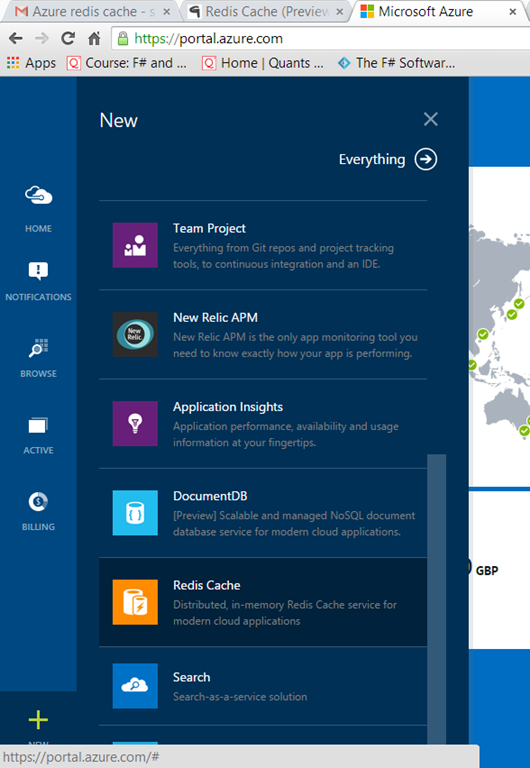 This time we will look at how to use the preview of the Azure Redis Cache. 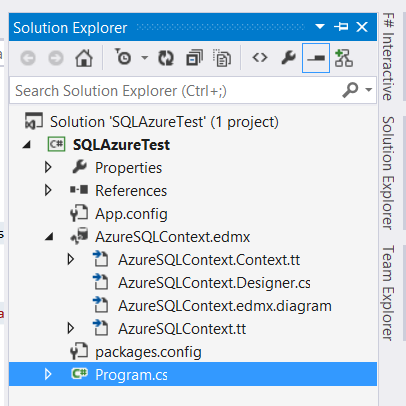 Redis was very easy to use an I found it very easy to store complex JSON object in it, at the time I was using the ServiceStack.Redis client libs. Unlike traditional caches which deal only with key-value pairs, Redis is popular for its support of high performance data types, on which you can perform atomic operations such as appending to a string, incrementing the value in a hash, pushing to a list, computing set intersection, union and difference, or getting the member with highest ranking in a sorted set. 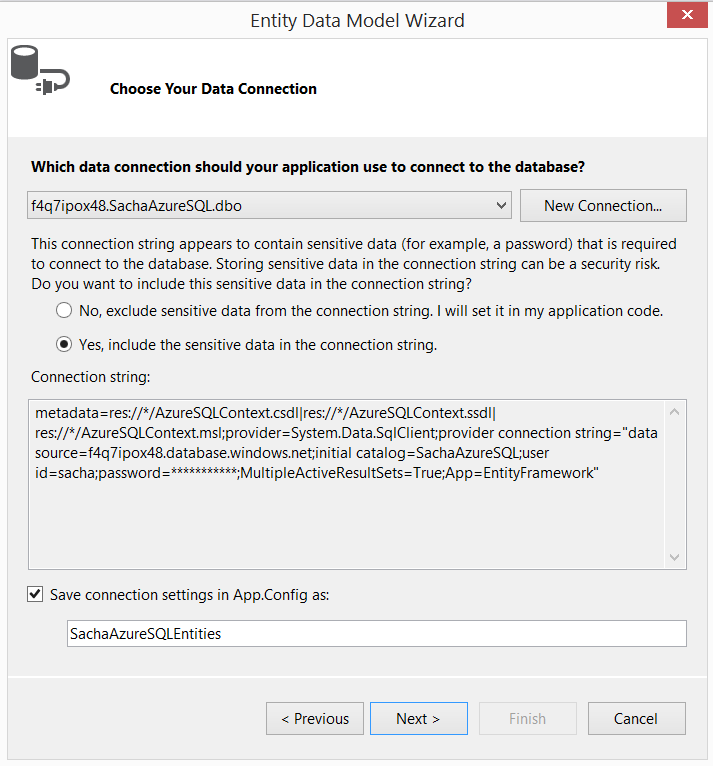 Other features include support for transactions, pub/sub, Lua scripting, keys with a limited time-to-live, and configuration settings to make Redis behave more like a traditional cache. Finally, Redis has a healthy, vibrant open source ecosystem built around it. This is reflected in the diverse set of Redis clients available across multiple languages. 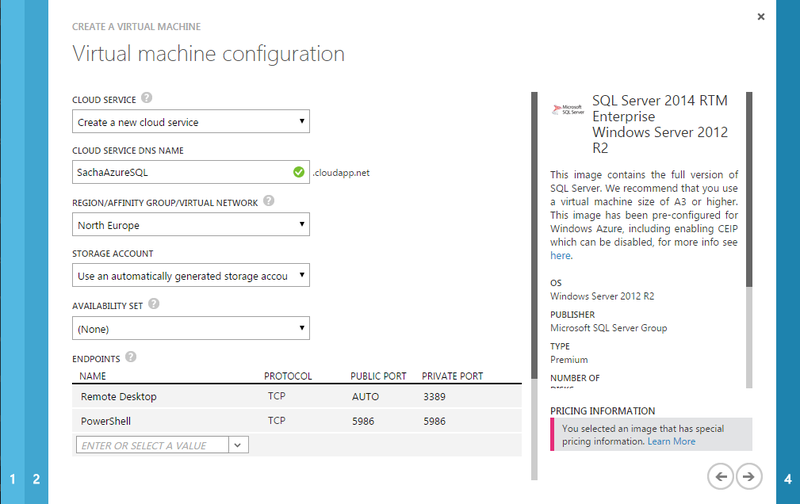 This allows it to be used by nearly any application, running on either Windows or Linux, that you host inside of Azure. 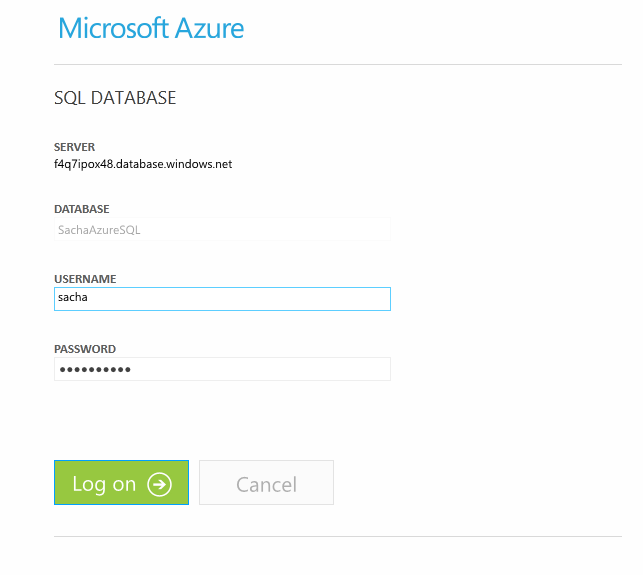 So once you have created a Redis Cache using the preview portal you will likely want to connect and use it. So lets have a look at that shall we. 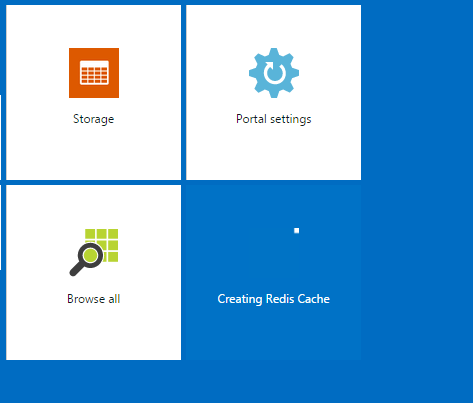 Once you have these 2 bits of information, we are able to start using the Redis Azure cache. 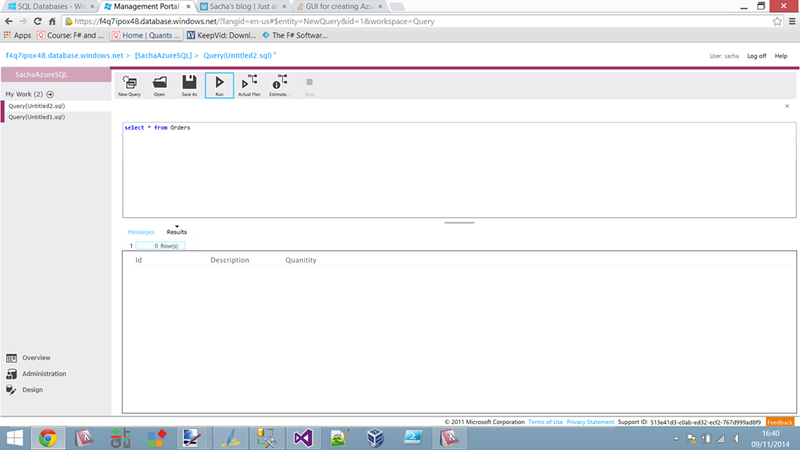 Once you have that, its finally time to start coding, so what do you need to use the cache. Not much as it turns out. The following is a fully working program, which stores and retrieves some basic string values, and also a fully serialized object. 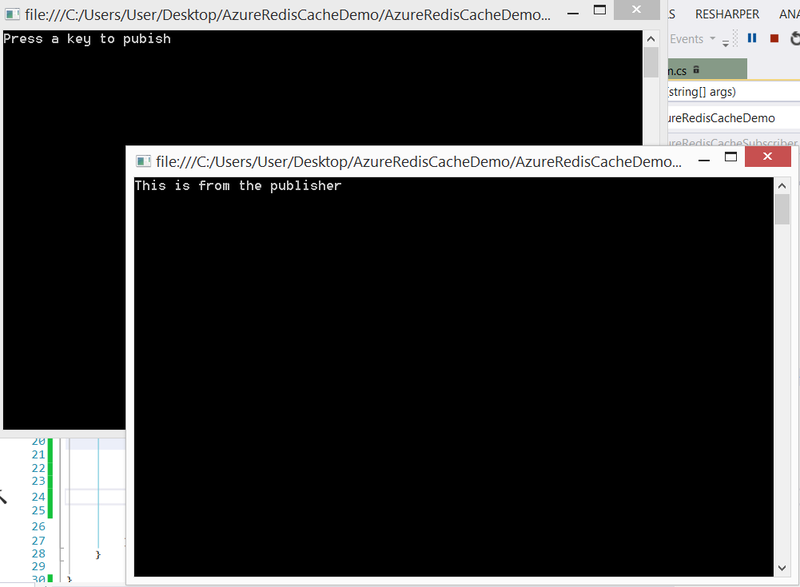 It is a VERY simple demo, but demonstrates the cache nicely I feel. 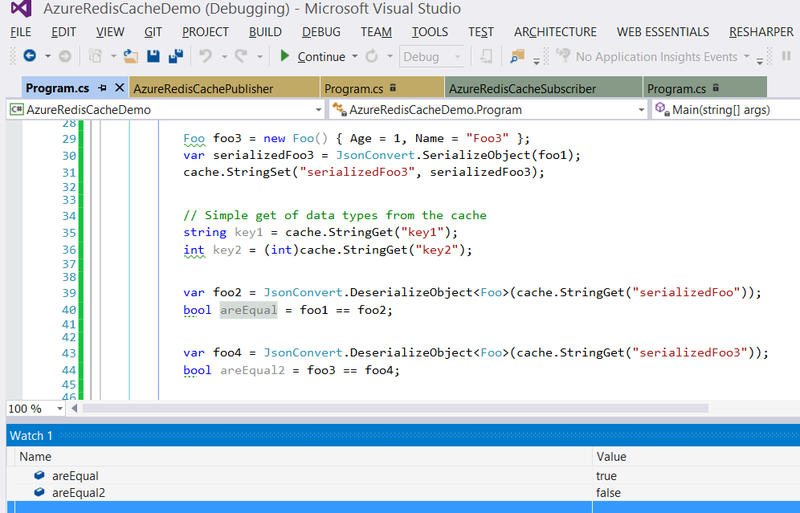 In this example I am using JSON.Net to serialize objects to strings, which are then stored in the Redis Cache, you may have some other serializer you prefer, but this does illustrate the point of a working Redis Cache ok I feel. Anyway that is all for now, enjoy until next time. 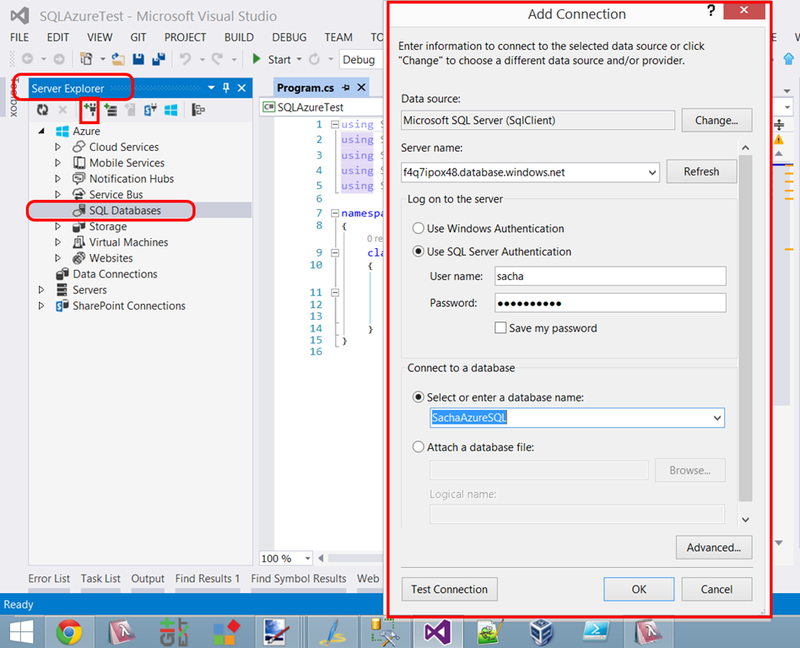 This is another article in my on going learning/experimenting with PowerShell. 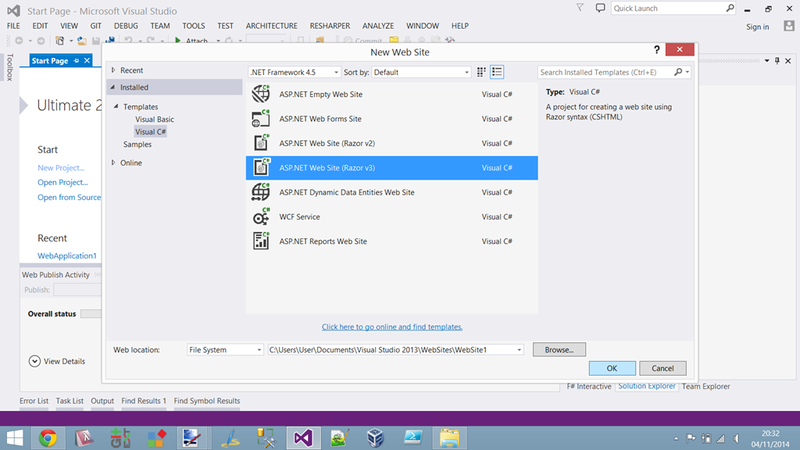 This time I will show how you can use PowerShell to carry out REST operations such as GET/POST. 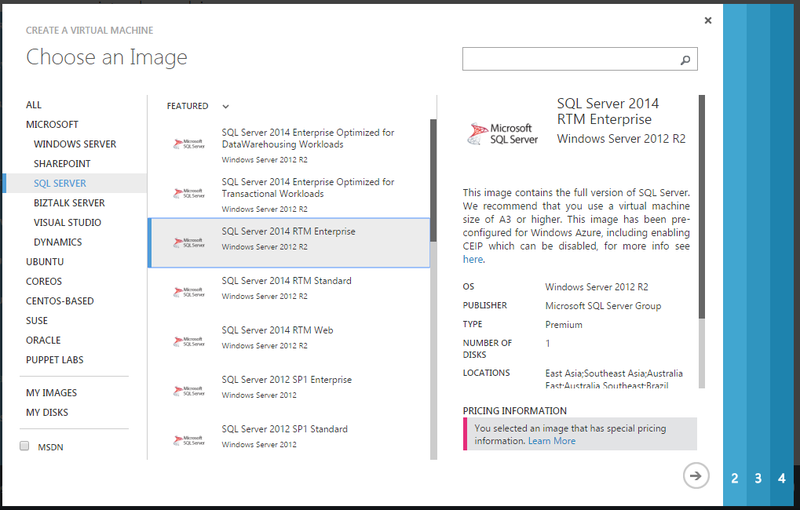 write-host "UTF8 Encoded Http Content: $content"
This time we will look at how to use Azure blob storage for uploading things like files (images, word documents, whatever you like really). 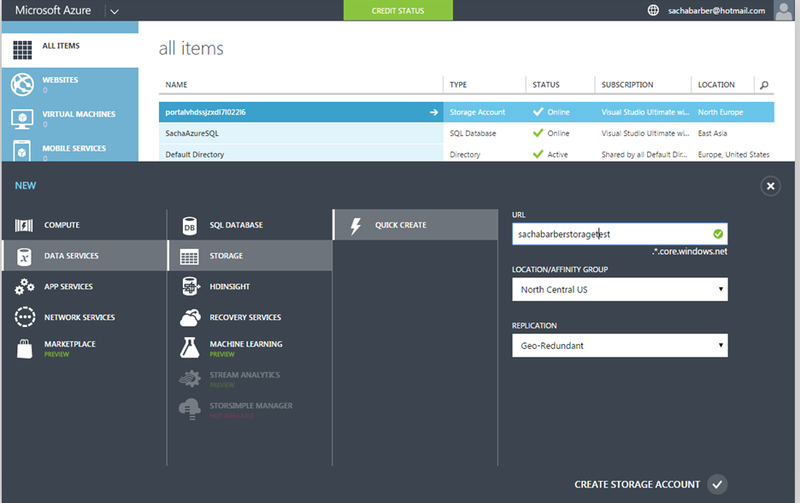 What exactly is Blob Storage? 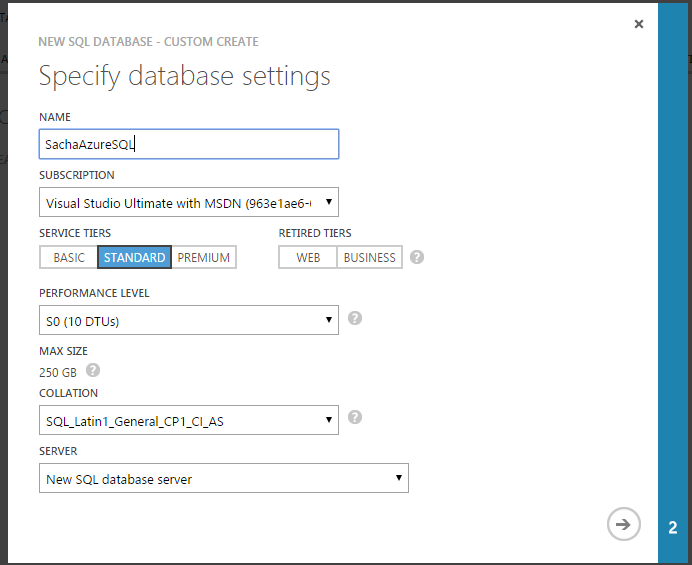 Well it is actually very simple, it is Azure hosted storage that allows you to upload large amounts of unstructured data (typically binary data, so bytes) that may be shared publicly using http/https. 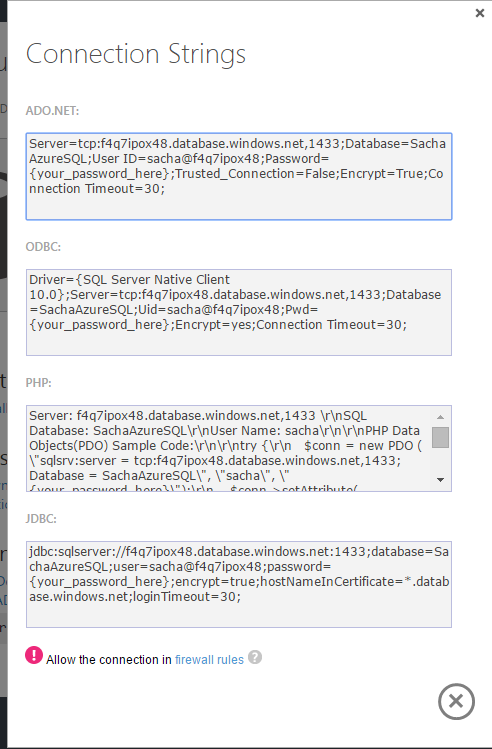 These belong to Account, and are using to group blob(s). Each account can have unlimited number of containers, and each container may contain an unlimited number of blobs. 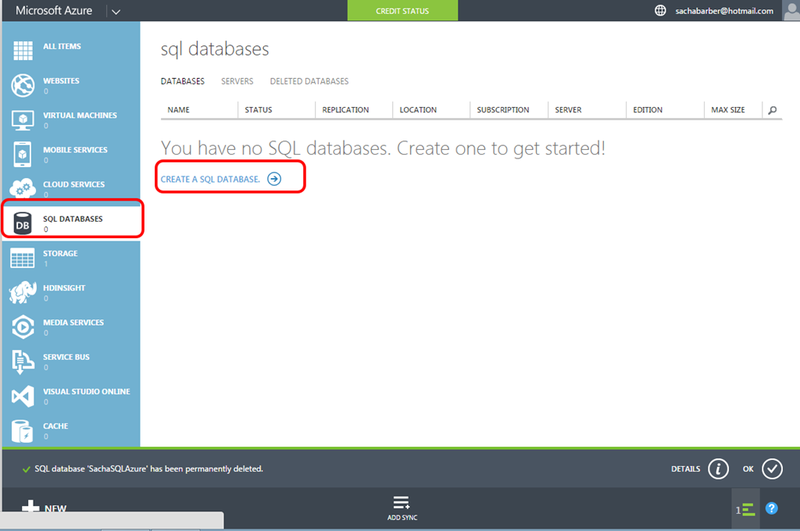 Blobs represent the Azure hosted data that represent the originally uploaded binary data. 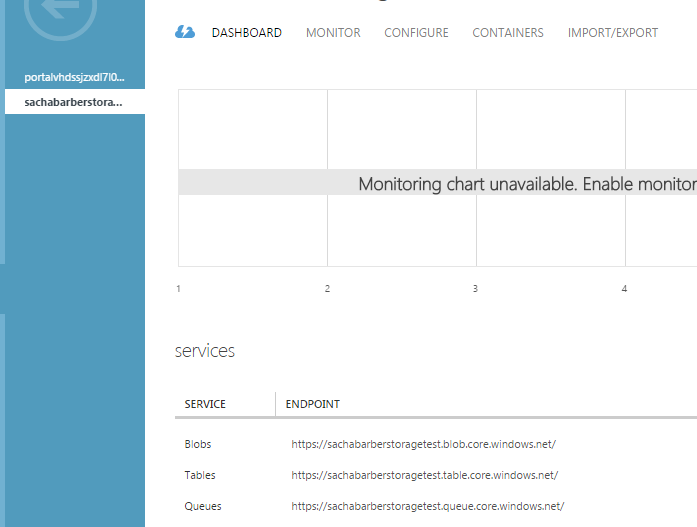 It is the blobs that you would eventual end up loading when you share an Azure blob storage url. 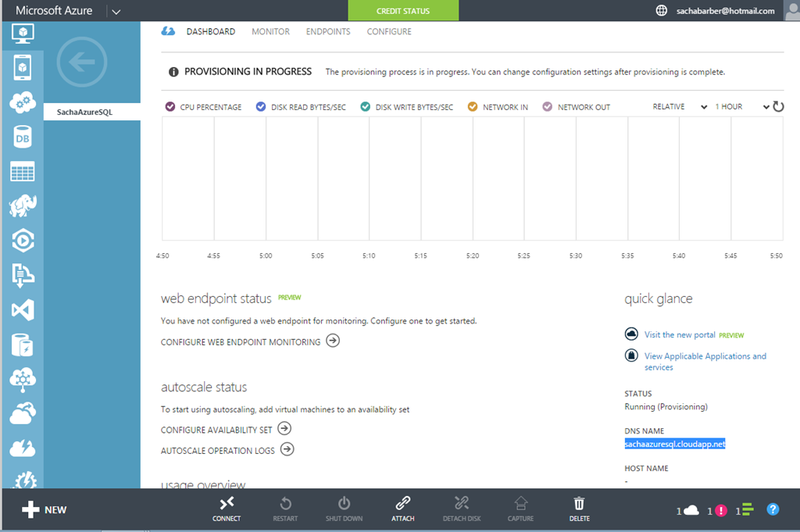 These are binary blocks of up to 200GB, where you can upload 64MB at one time, Typically for a larger block, you would spit things up and upload them in chunks using multiple threads, and Azure will reassemble them making the available as a single blob. These can be up to 1TB and consist of a collection of 512 pages. 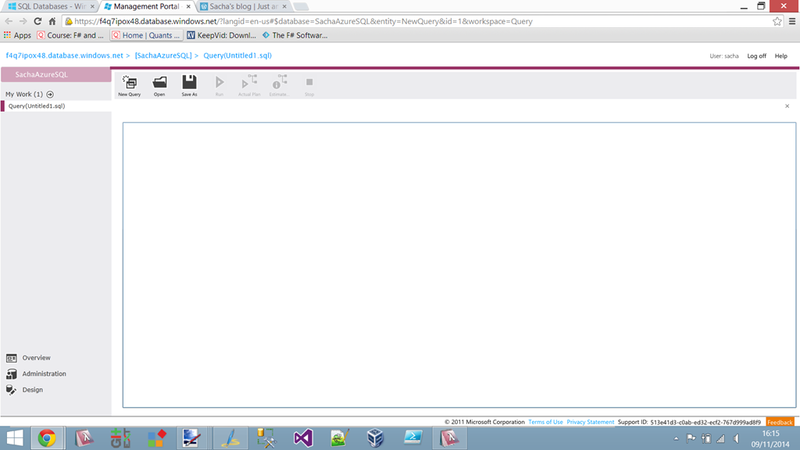 You would set a maximum size when creating the page blob. 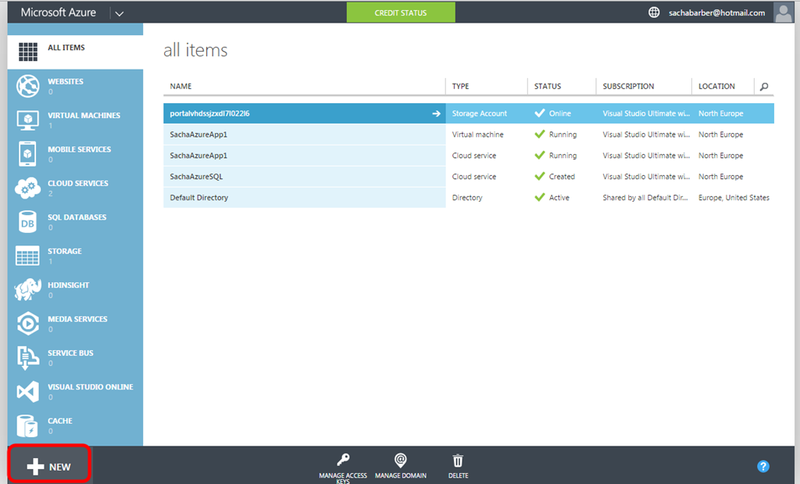 I have not used these so much, and personally I think these are here to support other Azure features like Virtual Hard Drives (VHDs) which are stored as page blobs in Azure Storage. 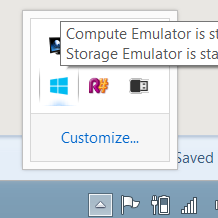 Since I am writing the bulk of these posts on a train without any internet connectivity, I will be using the storage emulator in any demos in this post. 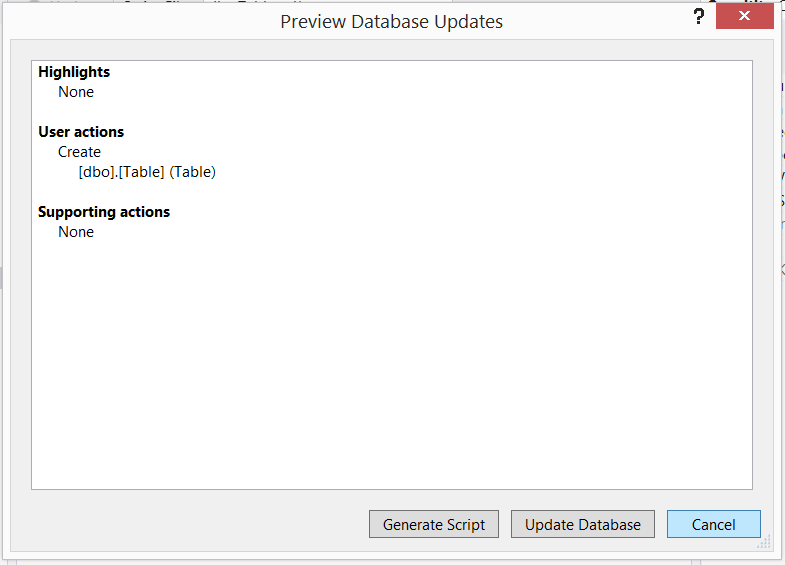 Blobs support metadata via a dictionary which is available using the Metadata property which is a simple key/value pair. 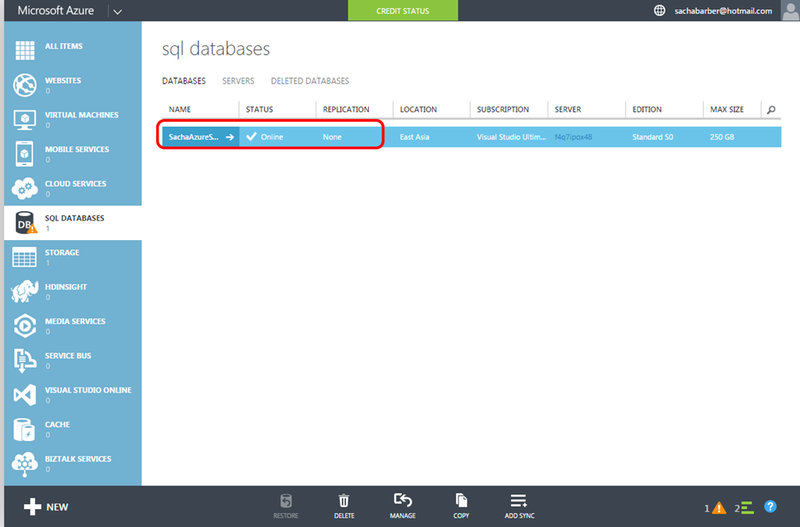 So now lets check everything worked by connecting to the Azure SQL database from SQL server management studio. 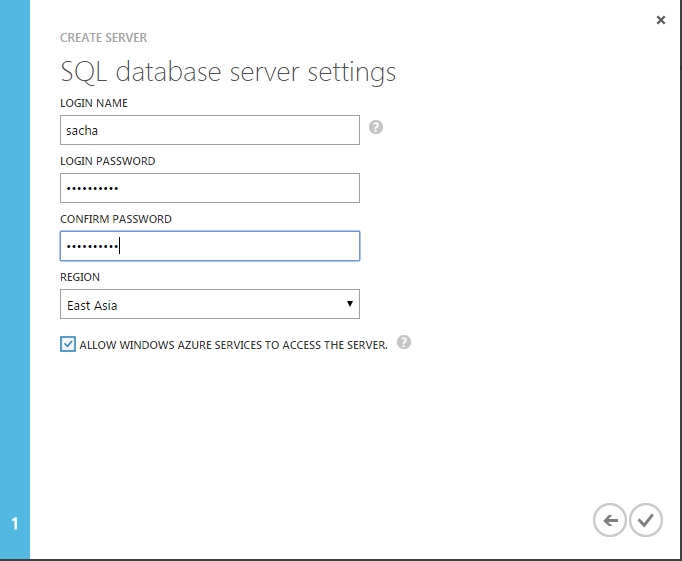 Yep, the table looks good, there is no data there yet, as expected for a new table. So lets now turn our attention to getting some data into the new table. 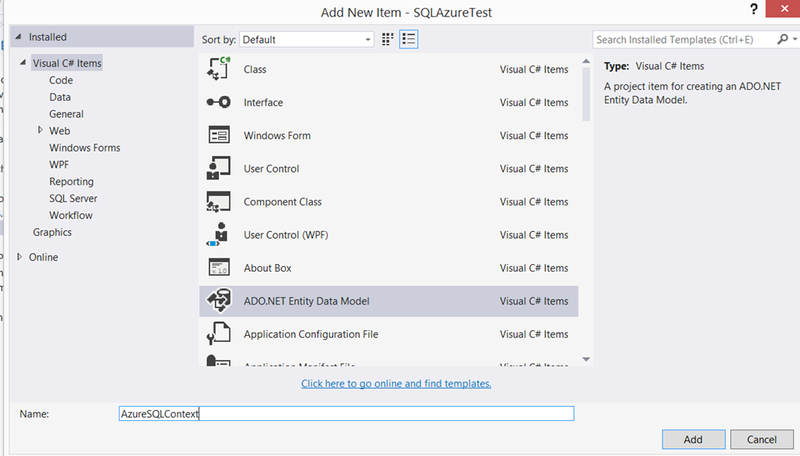 Lets use a new Entity Framework model to talk to the new SQL Azure database/table we just created. 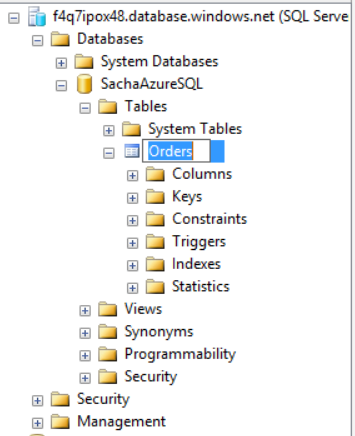 And here is some code that will do some basic CRUD operation using the Entity Framework context that was created for us. 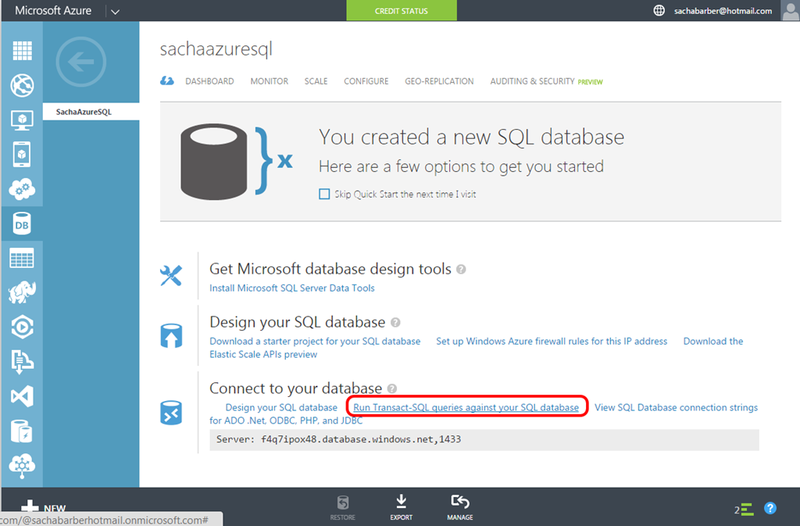 And here is the results of this against the SQL Azure instance we just created. 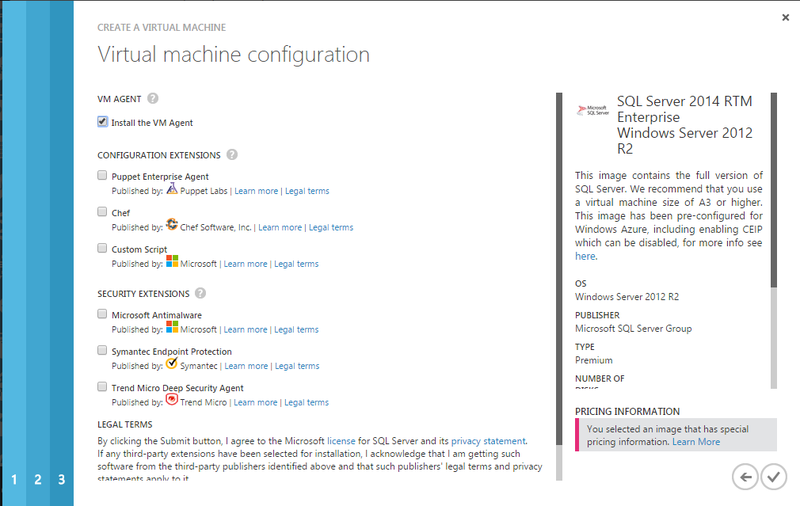 This time we will look at how to create a new Virtual Machine using the Compute element of Microsoft Azure. 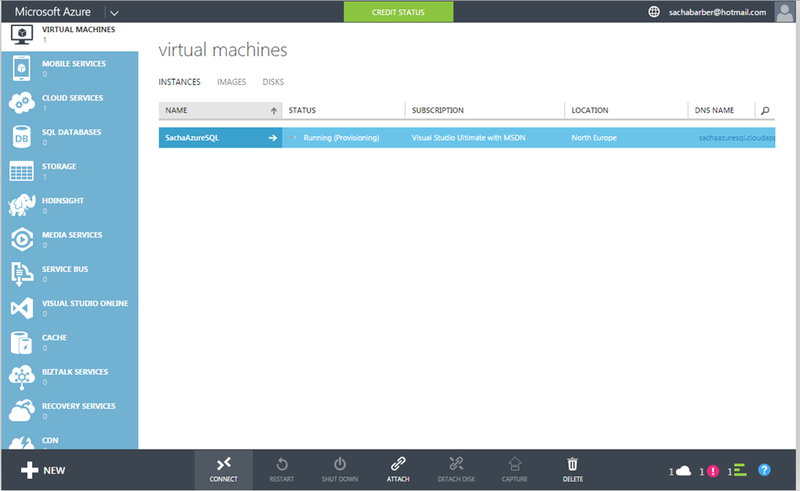 From there you will want to create a new Virtual machine, this can be done by clicking on the “New” button in the Azure portal. 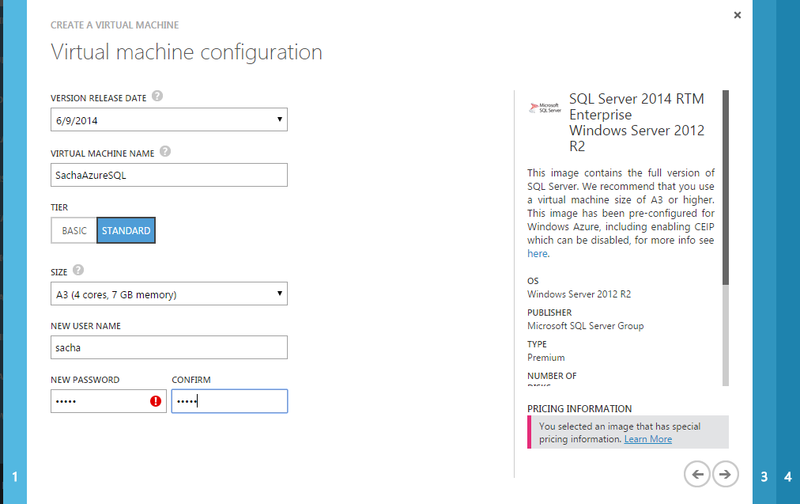 Once you have completed the wizard a new Virtual Machine, should be listed in the Azure portal for you. This is as shown below, for this posts example. More importantly is the “Connect” button. 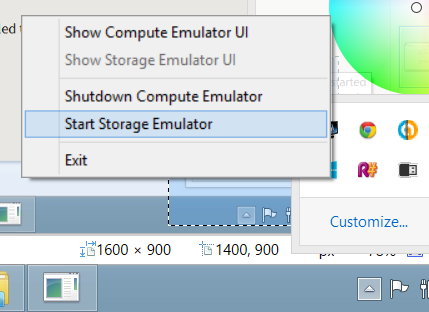 When you click that a new Remote Desktop item will be created and downloaded for you. 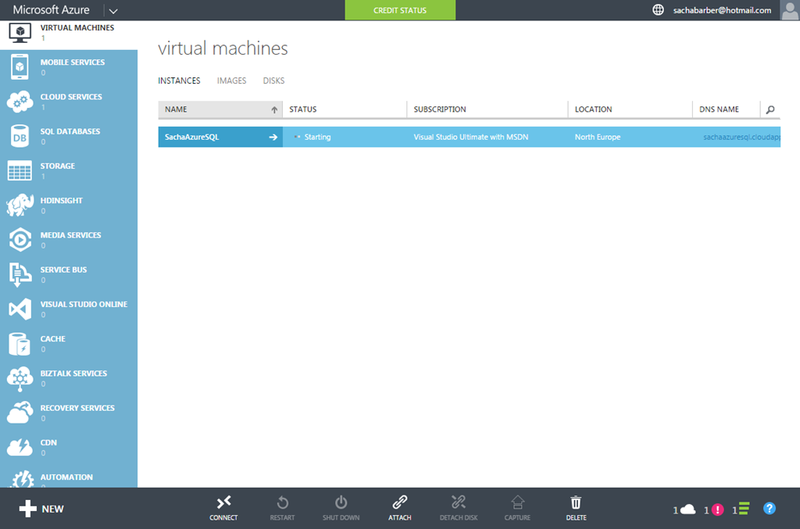 You can then use that to gain access to the Virtual Machine you setup. 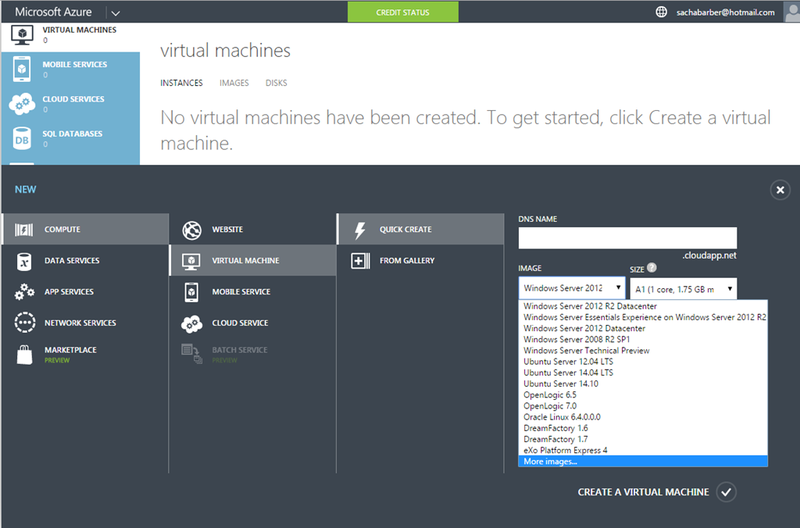 One word of warning though is that the Status of the Virtual Machine MUST be “Running”, the status of the Virtual Machine can be seen in the screen shot above. 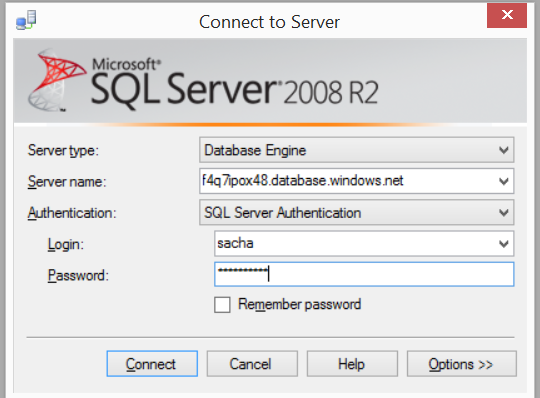 Here is me connected to a Virtual Machine (a standard Windows 2008 server), that I created another time. 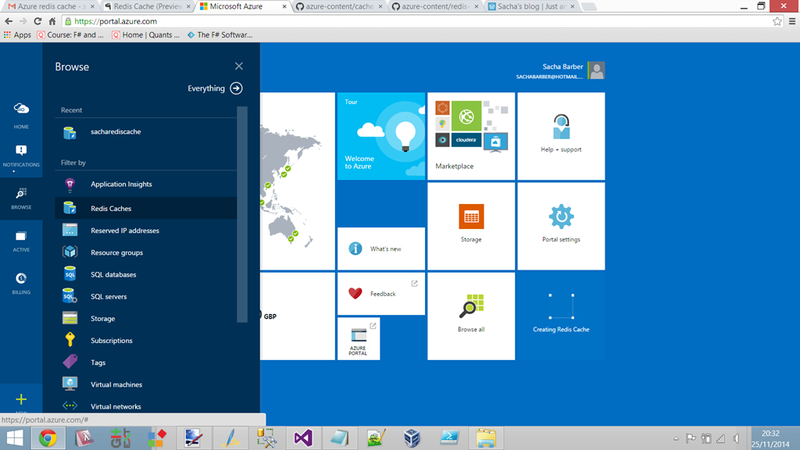 This is the first post in a series of beginners articles on how to do things in Azure. This series will be for absolute beginners, and if you are not one of those this will not be for you. 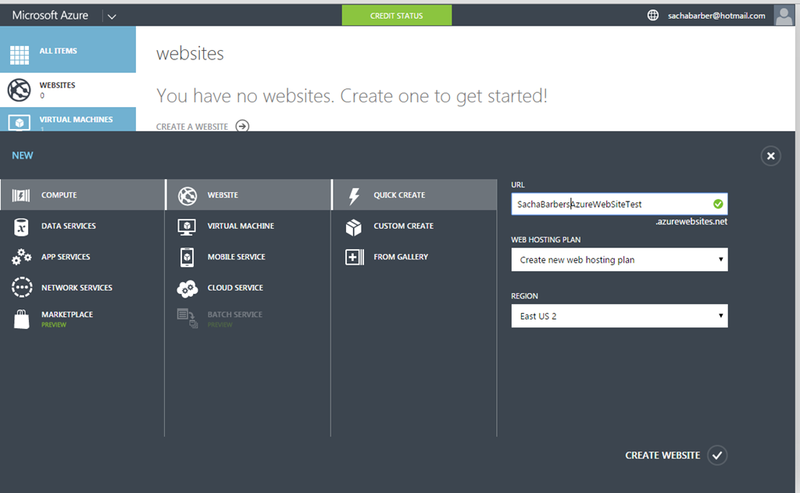 This time we will be looking at how to create and publish a web site to Azure using the Azure web portal (there is a new version of this coming soon, but for now it looks as shown below). 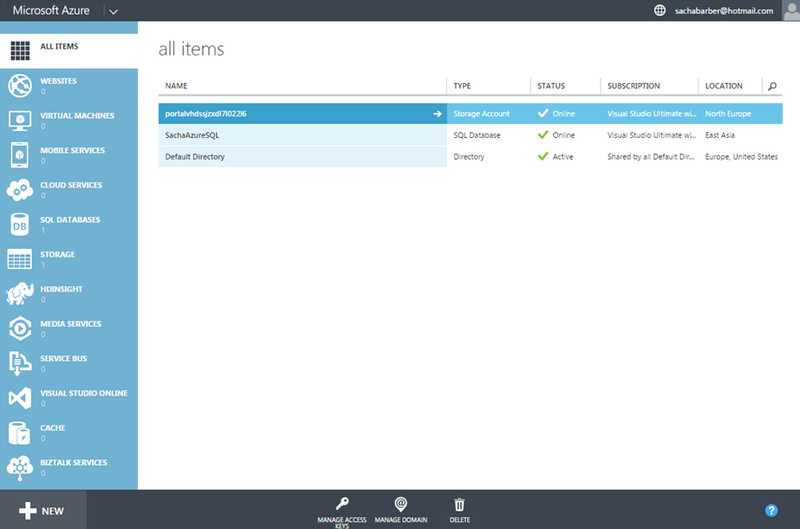 The first thing you will need is an Azure subscription, if you don’t have one of these you will need to get one. Once you have that you can sign into the portal. 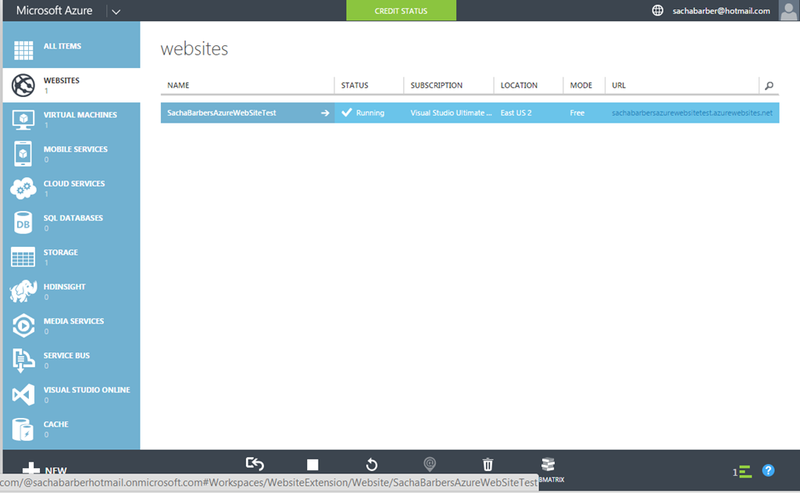 Once you have signed into the Azure portal you simple need to create a new web site, I personally use the “Quick Create” option, and then you need to pick the Url and region for the new site. From there you will be able to download the publish profile. This will be a single file which you should store somewhere where you will remember it. 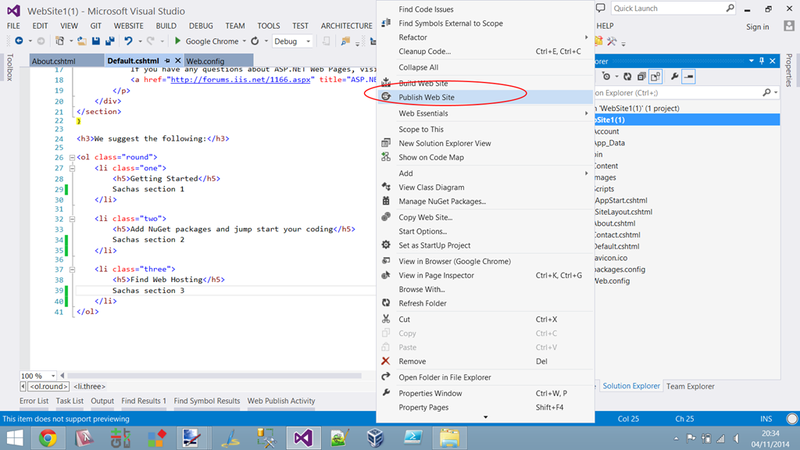 Now you can go into Visual Studio 2013, and create a new website. 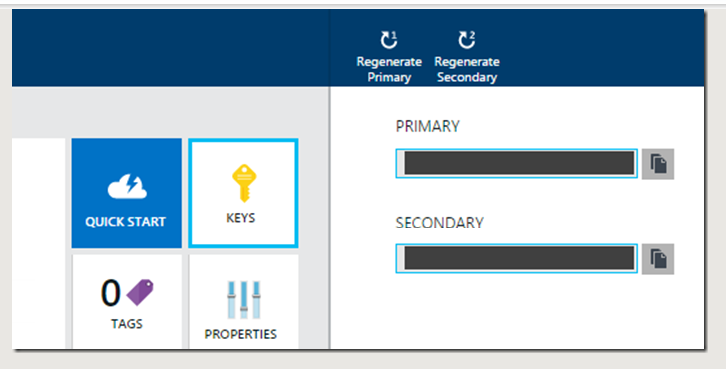 I chose to go with one of the standard templates, where I simply altered the content a bit, such that I know the publishing step we will do later actually worked. 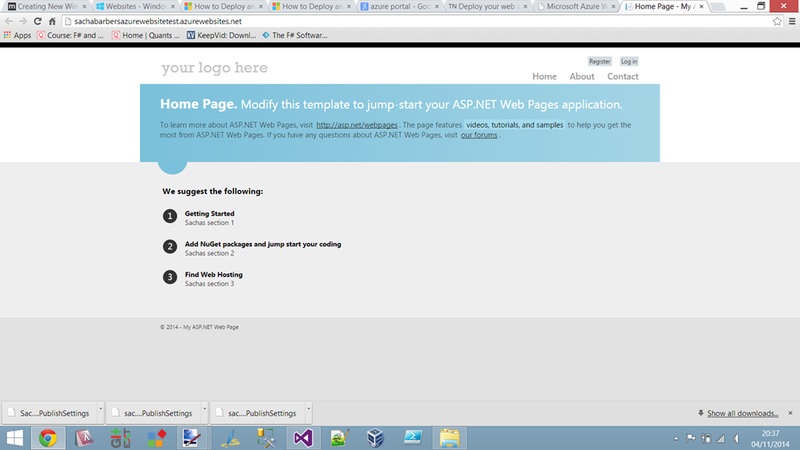 Once you are happy with your awesome web site you can right click and use the “Publish Web Site” menu. This will then present you with some choices. 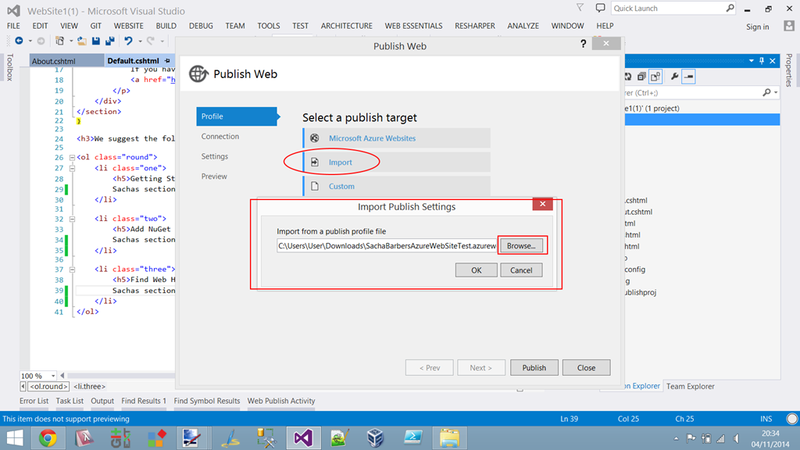 You can use the “Import” option, and then browse to the publish profile settings file you downloaded in the Azure web portal step. 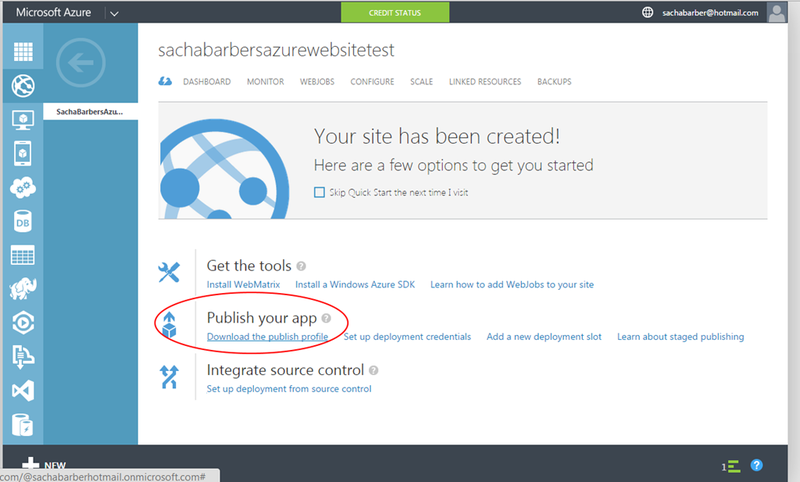 All you then need to do is follow the wizard through, and make sure you click “publish” at the end and you should then up with a lovely website hosted in Azure, as can be seen from the screen show below. 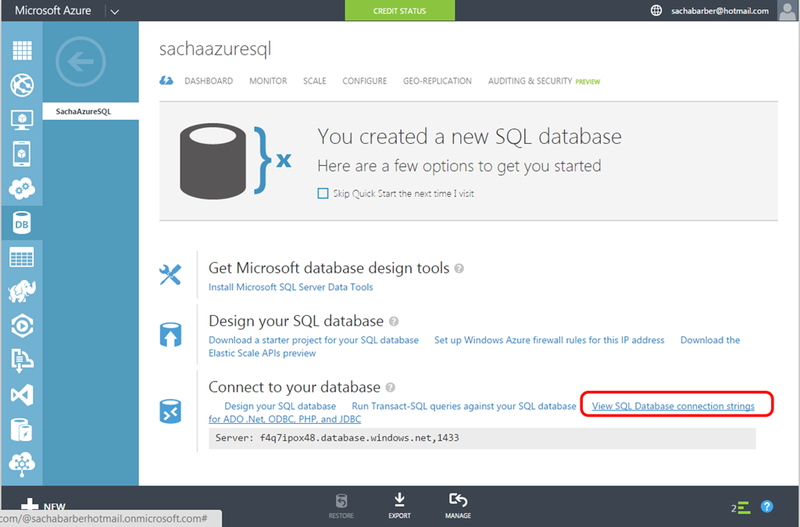 Not rocket science I know, but as I say this is for absolute Azure beginners.